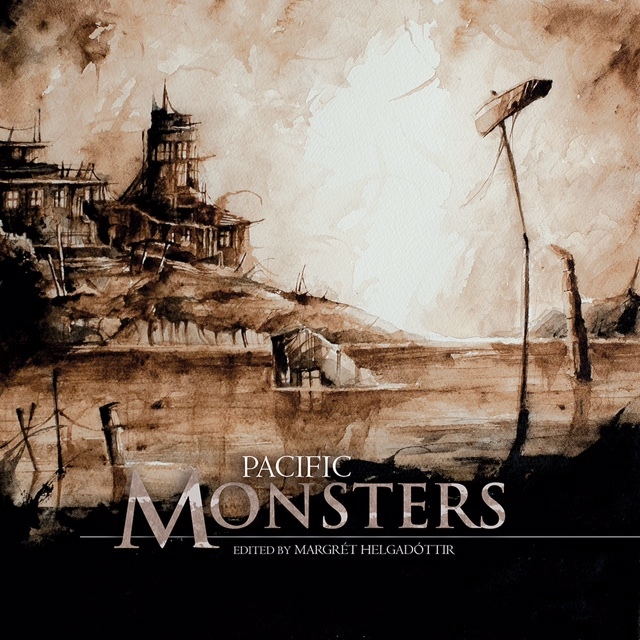 One more visit from an author with a story in the Pacific Monsters anthology published by our friends at Fox Spirit Books and edited by Margrét Helgadóttir. We always love hearing from authors, and Tihema Baker was kind enough to answer a few questions about his writing, culture and literature in Aotearoa New Zealand, translation and childhood fears. Read on, and then go check out his fabulous published work. Tihema Baker is a young Māori writer, belonging to the iwi (nations) of Ngāti Raukawa ki te Tonga, Te Āti Awa ki Whakarongotai, and Ngāti Toa Rangatira. He grew up and lives on the Kāpiti Coast of Aotearoa New Zealand. 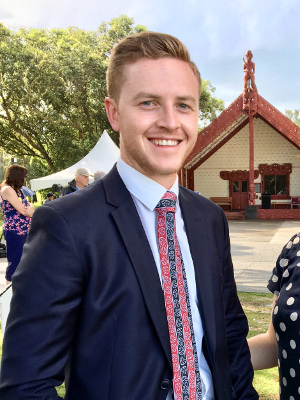 He currently works full-time at Parliament in Wellington as Private Secretary to the Minister for Crown/Māori Relations. He is the author of Watched, a YA novel about teenagers with superpowers, which was a finalist for Best Youth Novel at the Sir Julius Vogel Awards 2015, and earned a finalist position in the Best New Talent category at the same awards. He also has a short story published in Huia Short Stories 10 called “Kei Wareware Tātou”; which won Best Short Story in te reo Māori (the Māori language) at the Pikihuia Māori Writers Awards 2013. 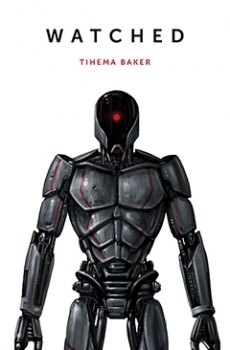 He is on Facebook as Tihema Baker - Author, and blogs at Tihema's Dilemmas. TFF: Could you tell us more about the Patupaiarehe people who appear in your Pacific Monsters story? 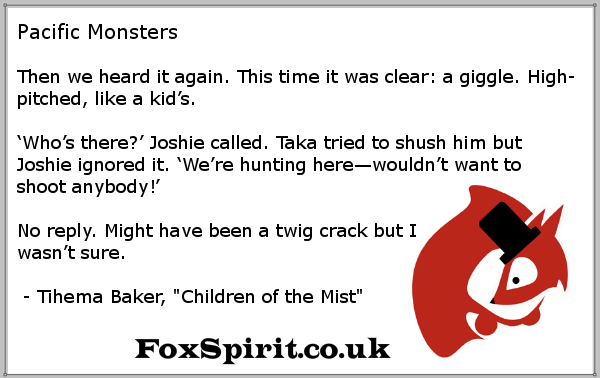 What would usually happen when the human characters like those in your story “Children of the Mist” meet them? Tihema Baker: Accounts vary between iwi and regions, but I guess the fairly common threads between them all are that Patupaiarehe are an ancient people who inhabit the mountains and forests of Aotearoa New Zealand and are believed to have done so since before Māori arrived somewhere around 1000-1200AD. 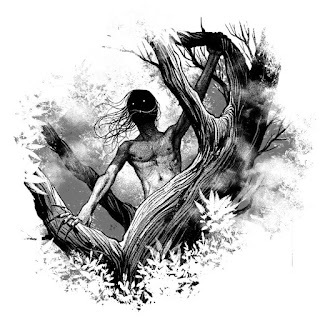 Sightings of them are almost always at night or under the cover of mist, and they are characterised as fair-skinned and -haired, which is where we get the term “Urukehu” from; in older times fair-skinned and -haired Māori were believed by some to be the offspring of human-Patupaiarehe relationships and they were referred to as Urukehu, literally meaning “red-haired.” Similarities between accounts probably stop there; I’ve heard stories of Patupaiarehe being giants, or walking on legs like rabbits’. In some stories Patupaiarehe were kind to humans, showed them how to hunt and fish, and even fell in love with them—and vice versa. In darker stories Patupaiarehe weren’t kind to humans at all, bewitching them with cruel magic. Wherever the truth lies, I think any encounter with them should be treated with respect. Is there a tradition of Māori science fiction, fantasy or horror (books, films, or other media)? Does Māori literature influence New Zealand culture more widely very much? I’m not aware of a real tradition of Māori speculative fiction. In my personal opinion, there exists in Aotearoa New Zealand a hierarchy within Māori literature, and Māori speculative fiction is at the bottom. Our big name Māori writers—and I do not say this to undermine them in any way—are not typically speculative fiction writers. I’ve personally found it difficult as a Māori writer to find support for my speculative fiction writing and I believe this to be because the genre is not taken seriously by the Māori literary community at large. As an example, my sci-fi novel Watched was a Best Youth Novel finalist at the Sir Julius Vogel Awards for science fiction, fantasy, and horror, yet the publisher—our leading publisher of Māori literature—declined to take on the sequel. It’s not a criticism but just the reality I’ve experienced as a Māori writer of speculative fiction. Do you think that any kind of story could be told to children or young adults or are there limits? I thought for a while about this. My first reaction was yes, there are limits. But then I thought about my childhood/adolescence and remembered that I was reading things I probably wasn’t supposed to years in advance. I don’t mean that in an arrogant way; I mean it in the way that, as children typically are, I was hungry to “know” things. At times, that hunger for knowledge led me to things that my parents probably would have preferred I come across at a later stage in life. I guess my point is that I think we sometimes underestimate the ability of young people to understand what we do as adults or grasp certain concepts. That doesn’t mean I think we should tell all sorts of gruesome stories to children, but just respect their ability to understand, to show empathy. I think it’s about how you tell a story, not necessarily the story itself. Do you translate your own stories from Māori to English? How different do they feel to you afterwards? I don’t actually write primarily in te reo Māori. The reason for this is, while I have a decent understanding of the language, I’m still far from what I would consider to be fluent. When I write I need to be able to express myself as fully as I can, and unfortunately my proficiency with te reo Māori is just not yet at a stage that allows me to do that. What I will say, though, is that I often have to translate things from Māori to English for colleagues in my day-to-day work. I find te reo Māori to be a very poetic, metaphoric language, and one of the beautiful things about it—like any other language, I assume—is that ideas are often expressed in ways they just can’t be in English. This can make translating from Māori to English challenging when there just aren’t the words to describe a fundamentally “Māori” idea, or when the depth of that idea or word is lost in English. I think in those instances the Māori word should just be left as is—there are plenty of phrases in other languages that English has adopted because they need no translation, so maybe we should do that for Māori phrases more often too! Could you give an example of such an untranslatable word? A good example is the word “mana”—common translations would be “authority”, “prestige”, “respect”, or even “power”. Those single words don’t convey the depth of the concept, though; in my view (and I stress I am not an expert, and my understanding may be very different from those far more knowledgeable than I am), one can have great mana but not necessarily respect, or have great mana but no authority. It's relative, and one person's mana may always trump another's depending on the circumstances and/or the relationship between the two. Mana is inherited but it can also be bestowed—and removed, sometimes irrevocably. It's a spiritual concept just as much as it is societal, and there are different expressions of it; mana wahine describes the mana specifically held by women, while mana whenua refers to those who have mana over land or a certain geographical area. Land itself can be perceived to have mana, as can water. I’ve just written a paragraph and I’m still probably miles away from giving it an accurate description! But when you understand the meaning that the word "mana" encapsulates, you also understand why it can't be translated. If you could choose a superpower for yourself, which one would you pick? I get asked this all the time and I’m afraid I have a very clichéd answer! I would love the ability to fly. I don’t care how: gravity- or wind-manipulation, shape-shifting, I’ll take anything that gets me airborne. My oldest memory is of my mum. I must have been about three years old; I walked into my bedroom, where I think Mum was sitting on my bed, folding clothes, and went up to her for a cuddle. I don’t think I’ve shared this before but I actually have another very early, bizarrely vivid memory from around the same age. It was the moment I realised my own mortality. I just remember sobbing to my mum with the realisation that one day, inevitably, I was going to die and I didn’t want to. She did her best to console me by saying that I had a long, happy life ahead of me before then. She also said that everybody dies, and one day she will too. That didn’t make me feel better. I don’t know why that memory is so clear; maybe that was a life-defining moment, or maybe I was just a weird kid. Probably both. What is your favorite progressive SFF movie or TV show? Black Mirror has to be one of my favourite shows, hands-down. It often makes me feel uncomfortable, makes me think about our society and our future, and makes me confront things about myself I probably don’t want to. But that’s the great thing about it. It makes me think. Any piece of art that makes someone question their understanding of the world (and in some episodes, reality!) is great, in my opinion. Can I also branch out a little bit; I’m a gamer, too, and I believe video games are quickly becoming a powerful art form in their own right. In terms of progressive SFF games, it’s hard to go past the Mass Effect series (or anything from Bioware, really). It’s one thing to have a well-written story supported by excellent characters and engaging gameplay mechanics, but another when that story is dictated by the player, who can customise their character however they wish, pursue romances with characters of any gender, both human and alien, and whose actions have consequences that carry across games. It’s a series that forces players to make choices, and live with the effects of those decisions on themselves and others. There hasn’t really been another video game experience that has stayed with me in the same way that my character and my decisions in that game have. What are you working on next-what can fans of your writing look forward to? My immediate priority is getting my second novel, the sequel to Watched, published. I have a completed manuscript so now it’s just a matter of finding a publisher. I’ve also just started work on the third and I’m really enjoying it! Aside from that I have some other ideas I’d like to dedicate more time and research to; a historical novel exploring the relationships between my three iwi in the 1800s, and I’d also love to write something fantastical set in space. You can find Tihema’s story “Children of the Mist” in Pacific Monsters, and his novel Watched from Huia Books.